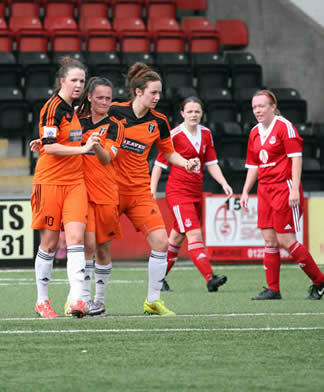 Glasgow City continued their march towards the SWPL title with a 4-0 win over Aberdeen at the Excelsior Stadium in Airdrie this afternoon, writes Graham Semple. 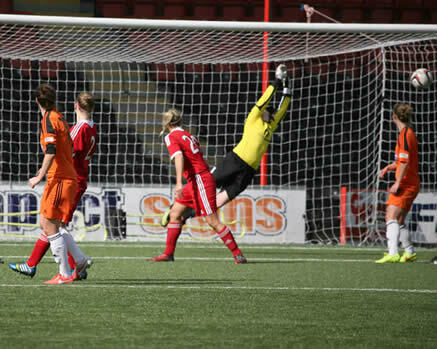 City continued in the pursuit of more goals and Lappin almost notched her second but her header struck the post. When Eilish McSorley saw an effort driftwide it appeared that the Glasgow side would have to settle for a three-goal winning margin. Pictures by Andy Buist. A full picture report will follow on our facebook page.